Thank you for giving your free time to help the children of our community! We will meet on Friday evening, August 3rd, 5:00 pm, to go over what to expect during the event. We will also have a short prayer for the success of the event and for the children and their families to have a successful school year. Wear lightweight, comfortable clothing. We will do everything possible to keep volunteers cool but not all areas are air conditioned. When you arrive at the event, please go to the Gym entrance. 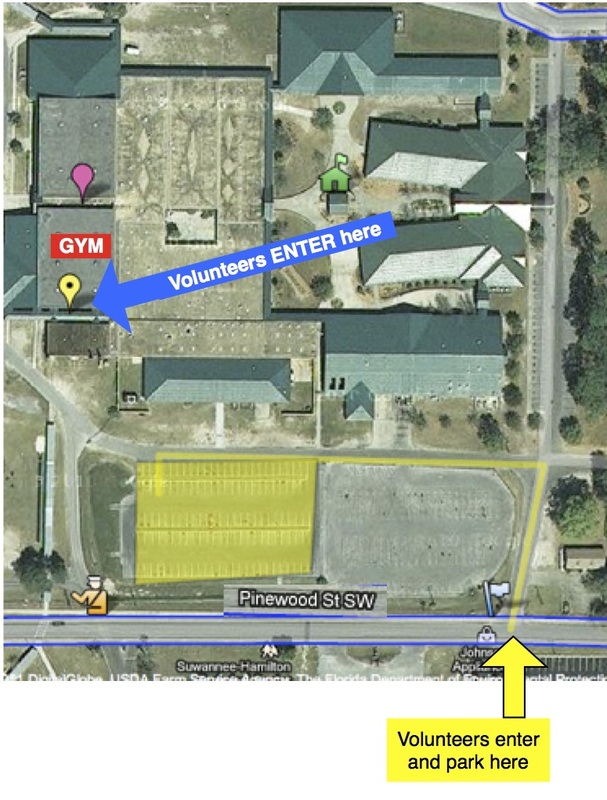 This will be located at the back of the gymnasium (see map). No smoking or tobacco products will be allowed on campus. The goal of the Back to School Bash is to help reduce the financial burden needy families experience when preparing their children to start school and to ensure children have the basic essentials for starting school.